My old, dependable optical Firefly slaves worked fine, except when I was on group trips or in show caves. Everyone else's strobes kept setting off my Firefly. I kept running down the batteries of both my Firefly and the strobe without getting many photos. There had to be a better way. There is. Radio-controlled slaves that work with radio frequency transmitters instead of infra-red or visible light. 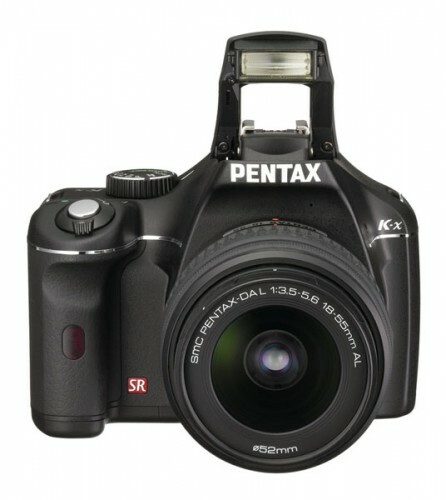 I switched to a small, cheap digital SLR, the entry-level Pentax K-X. It comes with a fairly good 18-55mm zoom lens (perfect for cave photography), all for about $500. I also use Vivtar 283 strobes (which I don't recommend because the only thing holding the battery door closed is a tiny flange of plastic that breaks as soon as you step foot into a cave). Recently I purchased a Dot Line RS-RT03K/4CHS Wireless 4-Channel Flash Trigger and a couple of receivers through B&H Photography. I thoroughly tested the units during a 2-week caving trip to Australia in July - August 2010. The small item on the right (in the picture above) is the transmitter. It mounts to you camera's hot shoe. It measures about 1 inch to a side and is about 1/4-inch thick. It's pretty unobtrusive, but subject to getting sheared off your hot shoe in a cave nonetheless. There is a user-replaceable 12-V battery that's not something standard that you'd find at Lowe's. I am sure Radio Shack would have the batteries. You can select one of 4 different transmitter frequencies in case there is some interference with someone else in the cave who is using radio slaves, too. The transmitter doesn't have an on-off switch, but it only transmits when the camera's flash is fired. However, the little button on top is a test fire button. Stuffed away in your pack, it might be pushed into the test position all times. Maybe that's why I got only 500 shots before the battery went dead. Advertised range is over 100 feet. The larger item on the left (in the above photo) is the receiver that mounts to your flash. It's fairly large, about 2-1/2 inches on a side. The L-shaped bracket on the bottom is an umbrella mount that you can remove (I have no need for it). The flash attaches to one of the hot shoe mounts shown. On the back of the receiver (not visible in this photo) are the frequency control switches and the on-off switch. The receiver takes two AAA batteries. The Dot Line RS-RT03K/4CHS Wireless 4-Channel Flash Trigger performed flawlessly. The charging of the strobe was the limiting factor when it came to shooting one photo after another. However, the slave's integration into the camera was another story. With the Dot Line transmitter on the hot shoe, the camera doesn't recognize that there is a flash available. So when I tried shooting in the camera's AUTO mode, the camera took a photo at f3.5 with a shutter speed of 4 seconds because it was so dark in the cave (duh!). So, you have to shoot in manual mode when you've got one of these babies mounted. But's that not a big deal. The exposures are all pretty similar. I set the camera to f4.5 with a shutter speed of 1/60-second and 90% of the time the exposure was correct. $80 for one transmitter and one recevier from B&H Photo. Since the slaves comes in many different models with many different attachments, be sure you order the correct model for your specific camera and flash. Got more than one strobe? Get only one transmitter but then get one recevier for every strobe you have. Carry extra batteries for both the transmitter and the receivers. You'll also need a tiny Phillips head screwdriver to open the battery door in the transmitter. Last edited by harrym on Jul 7, 2012 11:02 am, edited 3 times in total. What would you say is the longest distance you were from the receiver? Did you place any strobes around corners, in front of people, etc? The Dot Line slaves seems to have similar pros and cons to my cheapo Fotodiox slaves, which I purchased (used) for much the same reasons you did. The price for the Dot Line units isn't too bad. I know several cave photographers who swear by PocketWizards, but they come with a hefty price tag. BTW, I did an outdoor line-of-sight range test with my own slaves and they reached almost exactly 200 feet. But realistically, 50-100 feet is what I expect to get in a cave. I'll post some photos as soon as I can. I took a month off to go to Australia, and now I'm working 12 to 16 hour shifts, for fourteen days in a row. Gimme some time to get through this work week and I'll start processing photos. As promised, here are some photos taken with the Dot Line slave system during my caving trip to Australia. Obviously, the first photo was taken with an off-camera flash using the slave trigger, and the second photo was taken with two strobes triggered by the slave. The photo quality has been reduced for internet publishing and quick loading. I am looking for recommendations on slave flashes. My camera is a Canon 60D. NSS8921 wrote: I am looking for recommendations on slave flashes. My camera is a Canon 60D. I would decide what kind of slave system you are going to use, then pick your compatible flashes. Some slave systems work only with some flash units. For instance, I had a slave system that worked only with flashes that had a single metal contact point on the hot shoe. You might be able to get some cheap used flashes at a photo store. Get a flash with an adjustable power output, variable angle head, and diffuser. The bigger units that use more batteries are going to be more powerful, and possibly even recycle faster, but will be bulkier as well. Impact PowerSync16 DC Radio Slave System - Has anyone tried these in a cave? The reviews look really good and they are cheaper than power wizard. They "claim" 590 feet indoors and 200 outdoors. Thanks for the review on the dot line I went to B&H looking for the dot lines but they are out of stock and so are other dealers. So... I have been using these radio slaves for a while now. Overall, I am still quite pleased with them. One of them is rattling now but still works fine. 1. It would nice to have smaller slave receivers than the Dot Line RS-RT03K/4CHS models. The Dotline transmitter is nice and small, but the receiver is rather huge. 2. 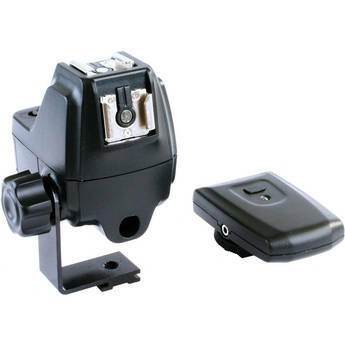 I would get a different strobes than the Vivitar 283, strobes with a more secure battery door latch. 4. Cheap and disposable might not be a bad way to go. Buy a handful of cheap radio transmitters and receivers, and just toss them when they go bad. Caves are pretty rough on camera gear. Thank you for your review. It has been very helpful. I have been using PocketWizard FlexTT5 system to control Nikon SB900, SB800 and SB600. What I like best is being able to control the power of the flashes remotely with the AC3 control unit. On my first trip with the unit I was very upset with some of the flashes not firing. I ended up with assistants manually firing the flashes for a couple of exposure. On my last trip with updated software in the FlexTT5 things went much better, I would say that worked flawlessly. For one trip I did not have the FlexTT5s so I used the built in Nikon Creative Lighting System. The only issue I had with it was line-of-sight with the infrared. To tell the truth I really did not test if they would catch any reflected infrared and fire. I will be going to shoot in Mammoth Cave again on July 30 & 31. I was hoping to use a Nikon D800 instead of the D700 I have been using but that will not be happening.